GameBook 24/7 competition concept has been introduced to both UK and Canada this season with great results. In addition to these 10-week long contests, the 24/7 competition called Audi A3 Challenge has been going on in Finland all summer and still continues for as long as the golf season lasts. The UK contest ends this Sunday, so hurry up and get a chance to win! The idea of these contests is that golfers in the country in question can participate just by recording their score with GameBook. So it’s both easy and fun. And the prizes our partners are offering are great! You can find out more about the contests on our website. 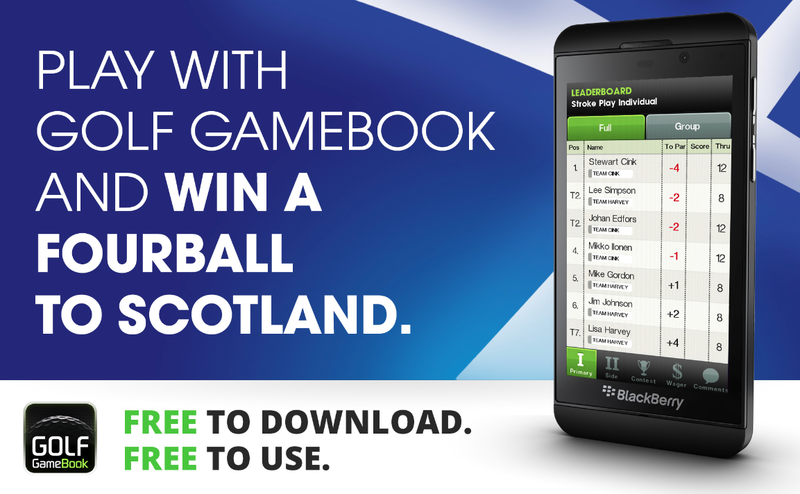 GameBook is now available for BlackBerry Z10. And we have 6 of them to give away to the bi-weekly winners of our 24/7 Challenge in Canada! The contest is almost over in the UK, but in Canada this weekend marks the halfway of our 24/7 Challenge. And we are happy to announce a new partnership and some new prizes! We have teamed up with BlackBerry and our app is now available for BlackBerry users as well – FREE of charge as always. This collaboration has also given us the possibility to give away 6 BlackBerry Z10 smartphones, which is great news for our Canadian friends! This means that we will give a smartphone to 2 lucky winners after each of the remaining bi-weekly contest periods. And this is in addition to the other fantastic prizes sponsored by The Old Course Hotel, The Georgian Bay Club, The Golf Club at Lora Bay and Golf Canada. The winner of our 5 week prize will be drawn at the end of next week, so make sure to enter the contest before that! 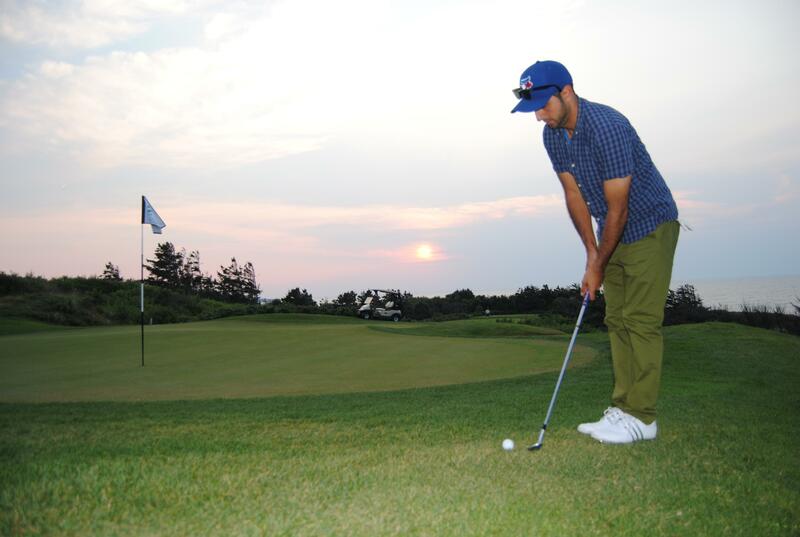 The prize is great – a whole year of glorious golf at The Georgian Bay Club in Clarksburg, Ontario. And the winner of the whole 10-week period will receive our grand prize – the ultimate fourball golf trip to the Old Course Hotel in St Andrews, Scotland. So far we have drawn two bi-weekly winners in our 24/7 Challenge in Canada. The new owners of Golf Canada merchandise packages are Rob Maiorano and Nidine Aldean Mann. Both of them have found GameBook this summer, Rob approximately 3 months ago and Nidine only a few weeks back. However neither of them is new to the game of golf. Rob Maiorano was selected as the first bi-weekly winner of our 24/7 Challenge in Canada. Rob started playing back in 1997, has worked at the Kleinburg Golf Club for 12 years and joined the PGA of Canada in 2007. 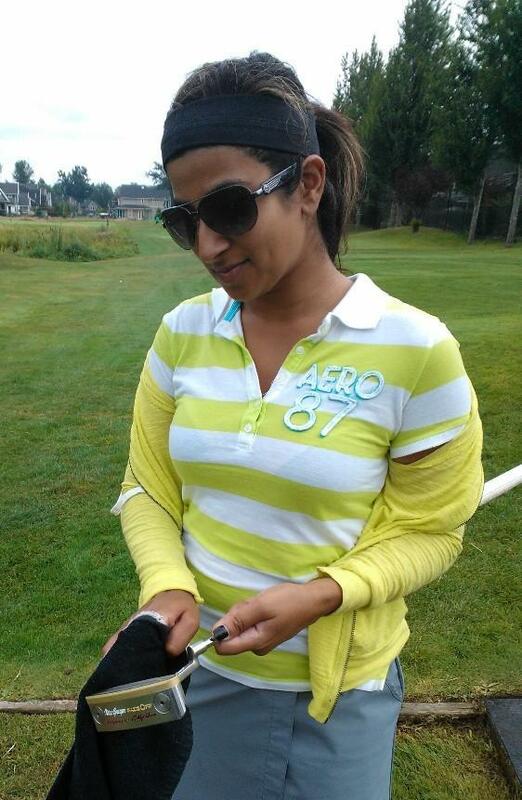 Nidine chose playing golf instead of becoming a golfer’s widow and followed her husband to the golf course after they got married 6 years ago. Rob and Nidine found GameBook just by browsing the app store and following golf buddies recommendations. And we were happy to hear they both had some positive feedback to give. The second bi-weekly period of the 24/7 Challenge in Canada got a female winner – Nidine Aldean Mann. So dear friends in Finland, UK and Canada, if you wish to become winners like Rob and Nidine make sure to enter the contest before it’s too late. In addition to the trip to St Andrews, that is available for Canadian golfers, we are giving away a perfect golf break to La Manga, Spain in the UK contest. The winner of the Finnish 24/7 contest will get to drive an Audi A3 car all next year. So keep it simple and just play, share and ENJOY!